The ‘Farthing Downs’ large tote bag from Radley is an elegant, minimalistic piece crafted from premium grained leather. 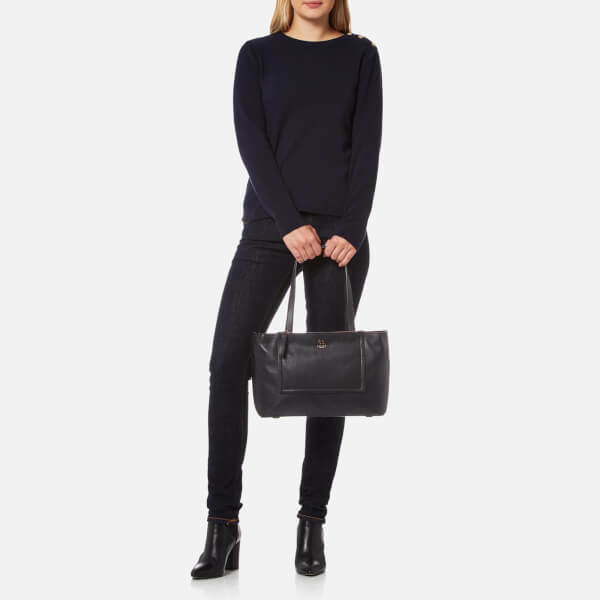 Forming a supple rectangular structure, the handbag comprises a partial zip top closure that secures the spacious main compartment. 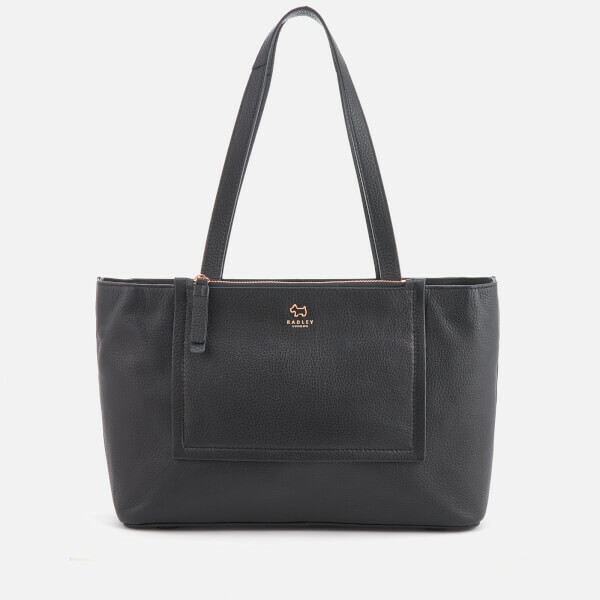 Within, the interior has been fully lined with the signature ‘splatter spot’ fabric and offers two slip pockets, a zipped pocket and a convenient key clasp for ease of access. Elongated dual grab handles feature to the top, and the style boasts an additional zip patch pocket to the front. 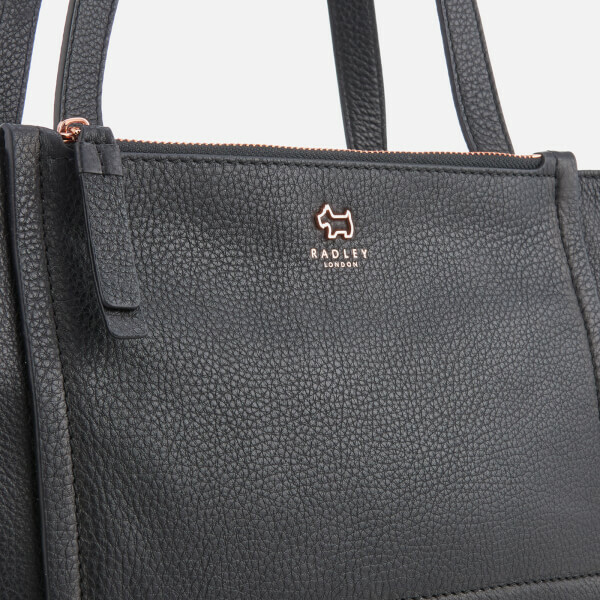 Accentuated with rose gold-tone hardware throughout, including the label’s iconic Scottie dog emblem. Dimension: H: 22cm x W: 33cm x D: 11cm. Handle Drop: 25cm.